LG XBOOM AI ThinQ WK9 Smart Display with 8" HD touchscreen display, Android Things OS and Google Assistant launched. 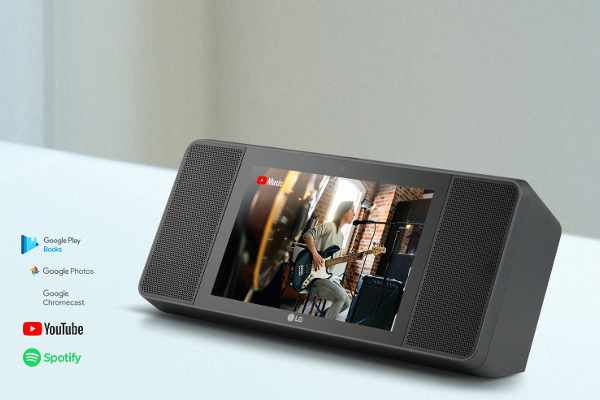 LG has today announced the launch of XBOOM AI ThinQ WK9, a new and intelligent speaker with a unique Smart Display that combines the capabilities of the Google Assistant with Meridian Audio's advanced technologies. LG's XBOOM AI ThinQ WK9 Smart Display comes with a 8" HD touchscreen display and runs on Android Things OS. The advanced Smart Display was developed in collaboration with Google to ensure that the WK9 builds upon the capabilities that come with having a Google Assistant speaker with the added convenience of a touchscreen display. It's equipped with a 5MP front-facing camera for video conferencing and stereo 20W speakers - the most powerful offered in a smart speaker. The WK9 leverages LG's partnership with Meridian Audio, an industry-leading innovator in high-performance audio solutions, to deliver delivering high-fidelity sound, precise vocal definition and accurate bass, despite its compact size. In addition to its superior audio and video capabilities, the LG XBOOM AI ThinQ WK9 enables control of other LG ThinQ products in their home such as LG TVs and home appliances as well as more than 10,000 smart devices from over 1,000 brands that work with the Google Assistant. The LG XBOOM AI ThinQ model WK9 is priced at $199 (Regular price $299) and will be available starting in the United States with key markets in other regions to follow.